While most of the northern hemisphere is currently in the icy grip of one of the coldest winters ever recorded, record-breaking heat is the problem in the south. The results of a new IIASA study show that between 1.8 and 4.1 billion people require access to indoor cooling to avoid heat-related stresses. Health risks due to extreme temperatures have been growing worldwide, and a significant number of heat-related deaths are reported annually during the summer months in the northern and southern hemispheres, particularly among the elderly, the poor and in densely populated cities. Due to its high cost, air conditioning is considered a luxury, and only 8 percent of the 2.8 billion people living in the world's hottest regions have an air conditioning unit. In addition, more than 1 billion people lack access to electricity and at least 1 billion live in slum conditions, both of which make access to space cooling challenging. The lack of access to essential indoor cooling is a major equity issue and is increasingly seen as a dimension of energy poverty and wellbeing that demands attention from policymakers. While a number of previous studies have looked at increases in energy demand due to the increased use of air conditioning, there is a dearth of research into the coincidence of adverse climate conditions and poverty. In this study, IIASA researchers for the first time spatially estimated explicit residential cooling needs in the Global South in combination with access to space cooling technologies to highlight the location of populations potentially exposed to heat stress. The results revealed large gaps in access to essential space cooling, especially in India, Southeast Asia, and sub-Saharan Africa, and provide a first estimation of the energy required to fill this gap. According to the researchers, the energy poverty gap is much larger than indicated by the electricity access indicator of the U.N.'s Sustainable Development Goal (SDG) 7 when the need for essential space cooling is taken into account. The results indicate that covering this gap would require an energy demand growth of on average 14 percent of current global residential electricity consumption, primarily for air-conditioning, which would likely be accompanied by high costs and significant environmental implications. Achieving universal access to electricity (SDG7) and adequate and affordable housing (SDG 11) are prerequisites to accessing cooling technologies, making the provision of essential space cooling for all a challenge. Apart from possible solutions such as the improved efficiency of indoor cooling technologies, the researchers encourage the use of passive building and city design strategies. 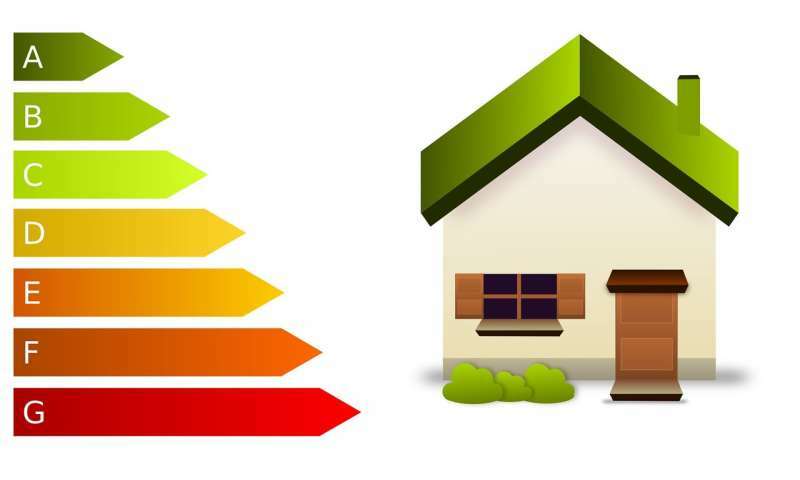 Passive building design entails using building methods and materials that improve the energy efficiency of buildings and reduce their ecological footprint, thus reducing the amount of energy needed for space heating or cooling. "Affordable and efficient cooling technologies, passive buildings and improved city design, and the frugal use of air-conditioning should be promoted to ensure essential cooling for all with minimized environmental damage," says Alessio Mastrucci, a researcher with the IIASA Energy Program and lead author of the study. The findings of this study are important in terms of supporting policy and strategies to reduce the number of people exposed to heat-related stress. According to Mastrucci, addressing the space cooling gaps is likely to have major implications for reducing the risk of heat-related deaths and dysfunction and improving the wellbeing of billions of people in the Global South. "Filling the cooling energy poverty gap requires integrated strategies beyond providing access to affordable, efficient and low-emitting air-conditioning under the Kigali amendment. Access to electricity and affordable, energy-efficient homes is of critical importance in this respect," he explains. In addition to the above, the study also highlights important interconnections and potential synergies between filling the cooling gaps and reaching other SDGs, such as no poverty, good health and wellbeing, and sustainable cities and communities. Timely policies to make more efficient air conditioning technologies affordable and to improve the design of residential areas to reduce heat island effects could be a win-win for both the climate and development.